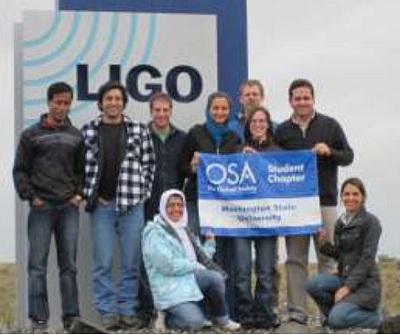 The Department of Physics and Astronomy graduate program at Washington State University is designed to produce leaders in industry, in academia, and at national laboratories. The department’s progressive environment seeks to provide an atmosphere that fosters intellectual growth and quantitative reasoning. The program engages students in teaching and research activities that provide the skills, knowledge, and ability for critical thinking that will enable them to be productive members of society. In the process, our goal is to lay the foundations for technological advances that improve our quality of life. Looking for resources as a current or prospective graduate student attending Washington State University’s spectacular Physics and Astronomy Program? Here you can find links to the application process, courses, scholarships, student directory, extracurricular activities, and the graduate student handbook. Not enough info? Please e-mail the department at physics@wsu.edu or call at 509-335-9532. Learn to use scientific reasoning and independent thinking to form and test hypotheses. Learn how to apply important concepts in each of four core areas of physics: mechanics, electricity and magnetism, quantum mechanics, and thermal and statistical physics. Design and conduct one or more original significant scientific research projects with publication-quality results. Be able to present scientific results clearly, both orally and in writing, to the larger scientific community through publications, conference presentations, research proposals, or in other meaningful ways. Prepare for a career in physics or careers that exploit the skills gained during graduate studies. Be prepared for graduate study and/or careers in physics.